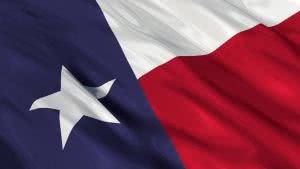 Texas is the second most populous and the second most extensive of the 50 United States, and the most extensive state of the 48 contiguous United States. Located in the South Central United States, Texas shares an international border with the Mexican states of Chihuahua, Coahuila, Nuevo León, and Tamaulipas to the south, and borders the US states of New Mexico to the west, Oklahoma to the north, Arkansas to the northeast, and Louisiana to the east. Texas has an area of 268,820 square miles (696,200 km2), and a growing population of 25.7 million residents. Some of the largest U.S. companies, including Exxon Mobil and Dell, maintain their headquarters in Texas. This state also services many small businesses, particularly in major industries like agriculture and information technology. Names of Texas corporations may not be the same as or deceptively similar to the name of any domestic or foreign corporation or reserved or registered name. Company Express will research your company name to make sure it meets Texas’ standards. Appearance in articles: Director names and addresses are required to be listed in the Certificate of Formation. Corporation’s principal office may be located outside of the state, but local registered agent is required in Texas. Time to file: Annual Public Information Reports and Franchise Tax Reports reports must be filed by May 15 of the following calendar year. Names of Texas requires Limited Liability Companies may not be the same as or deceptively similar to the name of any domestic or foreign LLC or reserved or registered name. Company Express will research your company name to make sure it meets Texas’ standards. LLC’s principal office may be located outside of Texas, but local registered agent is required. Time to file: LLCs must file their Public Information Report and Franchise Tax Report by May 15.